Welcome to you at our new site. 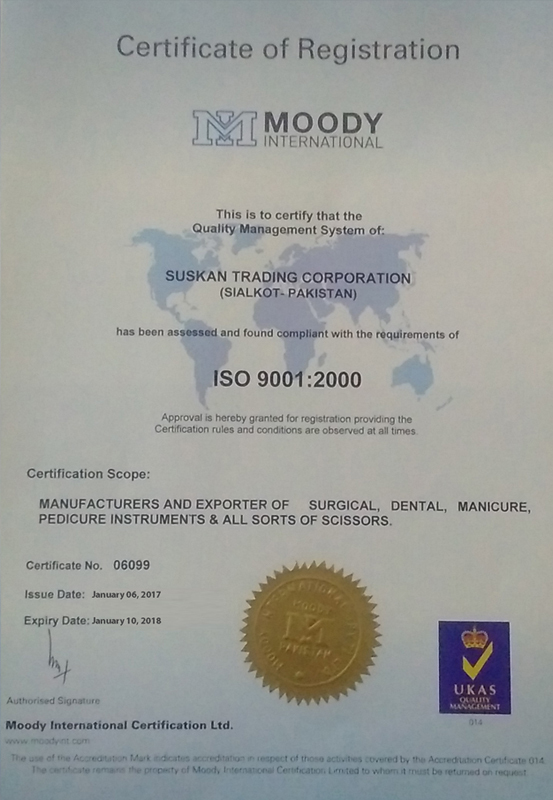 It is our great pleasure to introduce Suskan Surgical Manufacturing Corporation as one of the leading manufacturers and exporters of quality Surgical and Dental instruments. The Management of our Company is determined to maintain the standards and quality as well as to provide maximum satisfaction to our valued customers. 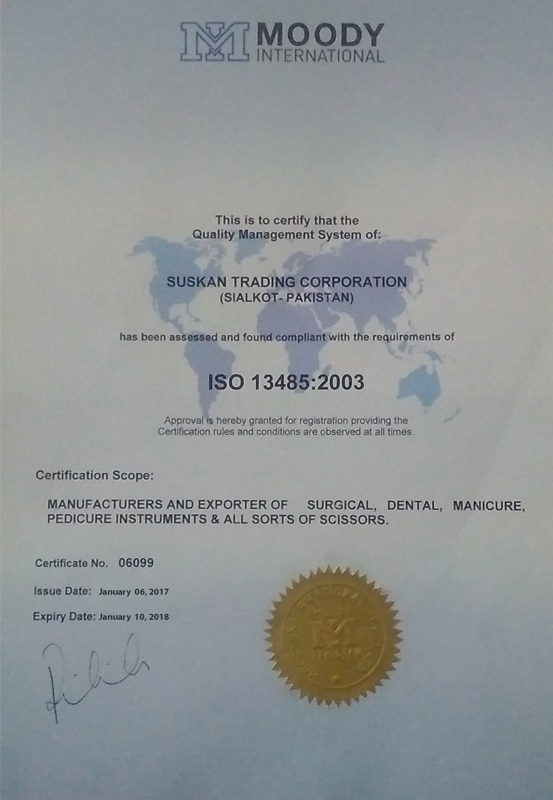 Although we have lot of achievements in our institution and quality management as per advance values in the field of Surgical, dental manufacturing instruments since our establishment but we will always welcome the any kind of positive and constructive opinion and suggestions of our valued customer to improve our end. We strongly believe that the expectations of our customers should always be fulfilled. We know that quality is the key to success and utmost priority of our organization as it has enhanced our reputation. Our strict Quality Control Systems have earned us CE, ISO 9001-2008, 13485-2003 GMP and Accreditation Certificate ( Issued by Ministry of Health, Labour and Welfare Japan) Our team of quality controllers is trained to adhere to the stringent quality Protocol during the entire production process and professionals works closely with the Customers to provide feasible and cost effective solutions for their specific needs. With our many years of experience in the production of high quality Surgical, Dental Instruments, we can offer you a wide range of quality instruments according to your Needs, So please feel free to write us with your present demands for establishing our Everlasting business relations.